Scientists have already proven the existence of gravitational ripples (and handed out Nobel Prizes for their discovery), but this situation was a bit different. The Milky Way apparently passed close enough to the Sagittarius Dwarf Elliptical Galaxy, a satellite galaxy to the Milky Way, that the gravity of Sagittarius caused the Milky Way to become knocked off balance. "It is a living and breathing beast that is sensitive to being poked and prodded and even tickled a little bit." So what do you think about this? Let us know in the comments. 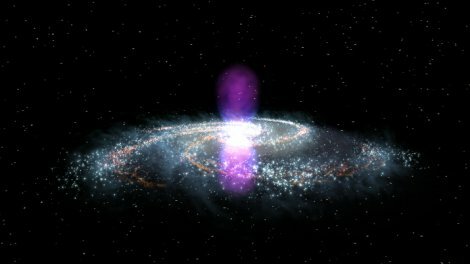 We'll keep our eyes peeled for new discoveries from the Gaia data, but in the meantime, why not learn about the invisible supermassive black holes wandering around the Milky Way?